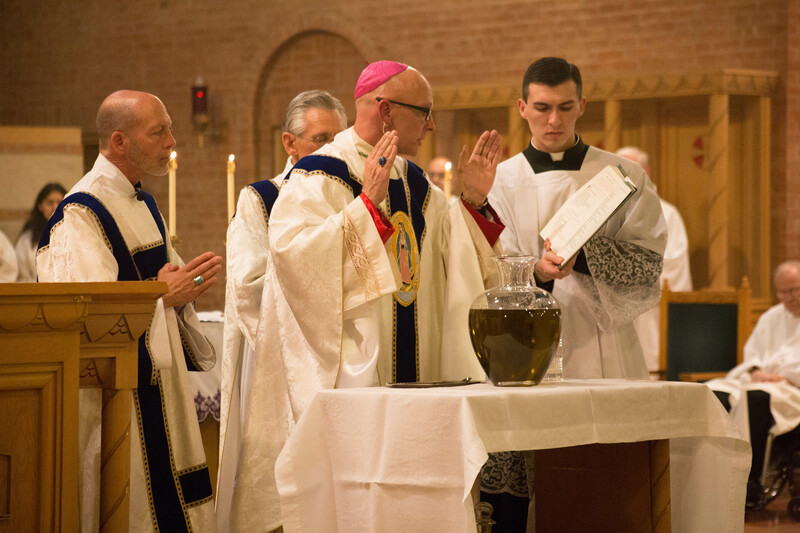 Editor’s note: We’re re-running this story from last year about the preparation of the oils and the tradition behind this very special Mass. In the sacristy of Sacred Heart Cathedral, Sandy Esparza and two helpers are preparing for the annual Chrism Mass, held every year on the morning of Holy Thursday, which in our Diocese is transferred to the Thursday before Holy Week. “I’ve been doing this for seven years now, and five of those on my own, although these two help me out,” Esparza says, referring to the two other parishioners with her in the sacristy: Mike Olvera and Sean Taira. As Taira washes the glass jars which will hold the oils and Olvera dries and polishes, Esparza explains the preparations needed for the Chrism Mass. The oils, blessed and being prepared for distribution. The Chrism Mass is significant not only because of the priests’ renewal of their promises, but also because it is during this ceremony that the holy oil used throughout the Diocese in the upcoming year is blessed and distributed to all the parishes. There are three oils that are prepared and used in Masses and rituals throughout the year. The first is the Oil of the Chrism, which is used for the sacraments of Baptism, Confirmation, and Holy Orders, as well as for the consecration of liturgical items including churches, altars, and bells. The second is the Oil of the Catechumens, used for those receiving Confirmation (the Catechumens also receive the Chrism Oil). Finally, there is the Oil of the Sick, used for the Anointing of the Sick and dying. There is also a significance to the procession of the Mass and the presentation of the oils to the Bishop. Bishop Wall blesses the oil. The use of oils in the Sacraments – particularly that of Chrism Oil – is a tradition that dates back to the earliest days of the Church, starting with direction from St. James that sick men should be prayed for and anointed with oil in the name of Jesus. Later, St. Ambrose and St. Cyril would note the importance of oil in the anointing of authority figures, particularly priests and kings. 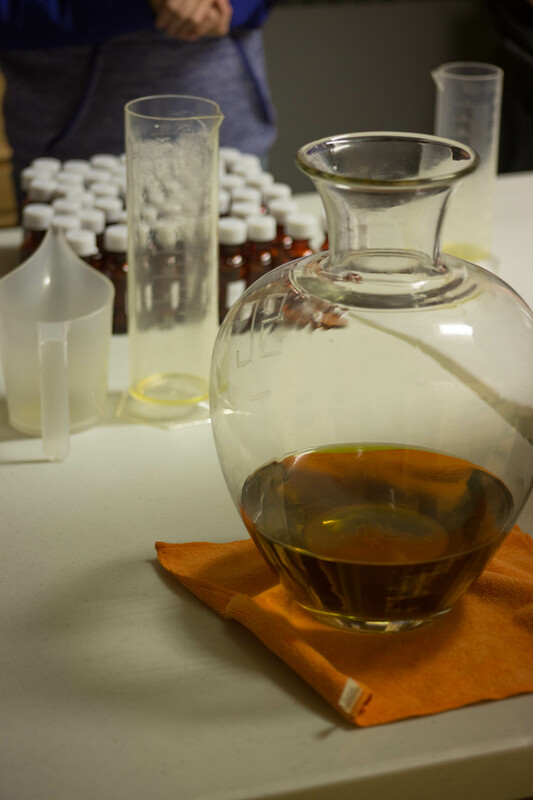 The oils that are blessed here will ultimately find their way to all corners of the Diocese, carried and used by priests in the fulfillment of their duties. Each time a person is received into the Church via Baptism or communion with the Church via Confirmation, advances in holy orders, or is anointed in preparation for sickness or death, they are taking part in a long and blessed tradition.